The Walt Disney Company unveiled a first look at the Disney+ offering, which will launch in the U.S. on November 12, 2019 at $6.99 per month. 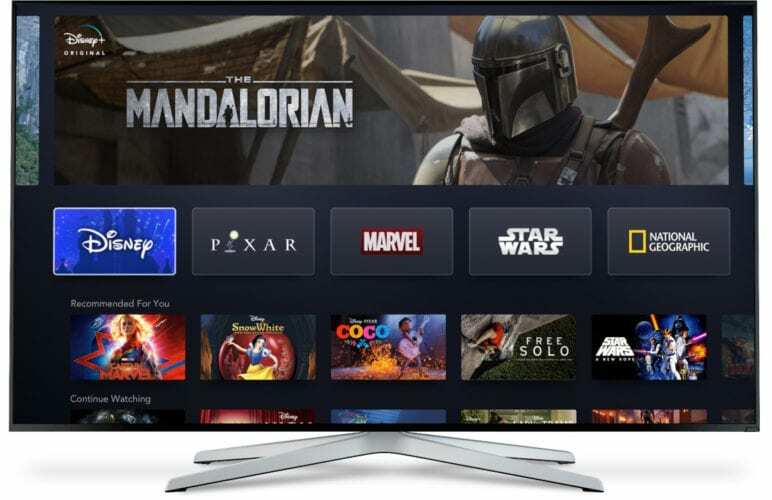 The service will offer content from the Company’s entertainment brands, including Disney, Pixar, Marvel, Star Wars, and National Geographic, and will be available on connected TV and mobile devices. The Disney+ service will be available on a wide range of mobile and connected TV devices, including gaming consoles, streaming media players, and smart TVs, and will adjust to the best possible high definition viewing experience based on a subscriber’s available bandwidth, with support for up to 4K HDR video playback. Fans will also have access to a certain amount content for offline viewing. “Disney+ marks a bold step forward in an exciting new era for our company – one in which consumers will have a direct connection to the incredible array of creative content that is The Walt Disney Company’s hallmark. We are confident that the combination of our unrivaled storytelling, beloved brands, iconic franchises, and cutting-edge technology will make Disney+ a standout in the marketplace, and deliver significant value for consumers and shareholders alike,” chairman and chief executive officer Robert A. Iger said. Visit DisneyPlus.com to register your email for more information about the service.